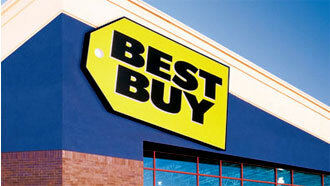 Best Buy.com – ship or pick up in-store! Big box retailer Best Buy doesn’t plan on watching Apple and Amazon dominate the online movie sales business, or sit back waiting for Walmart’s Vudu service to take off. The company will begin selling movies via internet this month through CinemaNow, an online distribution service acquired by Sonic Solutions in 2008. Best Buy purchased an undisclosed amount of Sonic Solutions common stock, and says they now own the CinemaNow trademark. After months of debate over naming of their online service (after considering names like “Best Buy Video On Demand” and even “Napster Video”), the company says they will simply use CinemaNow as their brand. 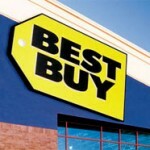 The online movie purchases and rentals will be available at first through PCs select Blu-ray players (apparently LG will be the first) and select HDTVs, and will eventually expand to offer titles through other electronics brands. Titles are expected to cost about the same as competitors, around $4 per rental and $15 per purchase. No subscription fee will be required to rent or buy. Meanwhile, Blockbuster (who also inked a deal with CinemaNow back in Jan. ’09) suffered a 19% share drop last Friday, as fears of bankruptcy loomed amidst quarterly losses. While the company has launched an attack upon Redbox by planning 4,000 kiosks, and still maintains day-and-date DVD release agreements with major studios, Blockbuster’s numbers remain in the red.